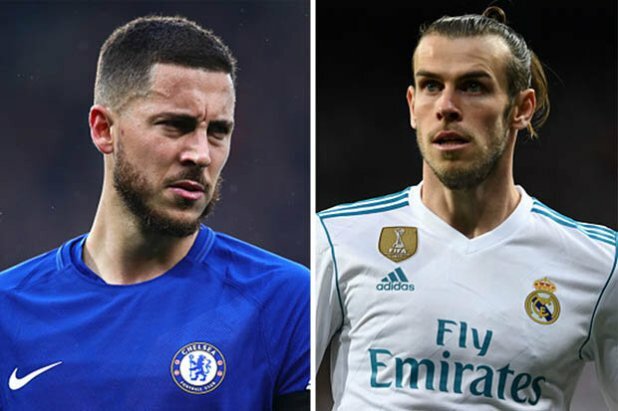 La Liga heavyweights Real Madrid are reportedly ready to swap Wales international Gareth Bale for key Chelsea man Eden Hazard. Spanish football expert and Sky Sports journalist Guillem Balague claims Zinedine Zidane is willing to part ways with the Welsh star in order to bring long-term target Eden to the Santiago Bernabeu. Gareth returned to the starting eleven for Saturday’s 2-0 victory over Celta Vigo, Zidane’s first match since his incredible Real Madrid comeback. But the French legend is apparently unsure if Gareth has a future at the Santiago Bernabeu, with Pep Guardiola’s Manchester City forward Raheem Sterling said to be another target. Zinedine would also love to land Hazard from the London-based outfit, with the attacker set to enter the final year of his existing contract. And it seems an exchange deal could be the possibility – even though SunSport claims ex-Spurs star Bale is improbable to return to the Premier League because of his mammoth £650,000 per week wages. This campaign, across all competitions, No.11 star has made 35 appearances and managed to score 14 goals and provided five assists in spite of being out of favour at the Santiago Bernabeu under Spanish coach Julen Lopetegui and then Argentine tactician Santiago Solari.